THE INK SPOT(HAMMERSTONE'S, SOULARD) I ask the bartender whether what I've heard is true. Yes, he says, the guy up there singing, Earl Gibson, used to sing with the Ink Spots. Not with the original Ink Spots, but the Sensational Ink Spots, an offshoot that formed after the original group fragmented in the late 1940s. Maybe you don't remember the Ink Spots. Ask your grandparents; they would. When your grandfather, only 24 years old in 1942, was proposing to your grandmother after receiving his draft notice earlier that day, "If I Didn't Care" was probably playing on the radio. The Ink Spots' harmonies gave rise to the doo-wop groups of the ´50s like the Orioles and the Moonglows, who led to the proto-soul of the ´60s -- the Drifters, the Four Tops and the Temptations, who... You get the idea. With a little concentration you could continue sketching the evolutionary tree right up to hip-hop. This casual Sunday night in 2007 might seem like just a run-of-the-mill diversion from life's humdrum. But it's more than that, because that 86-year-old guy on the bandstand, cigar in one hand and mic in the other, plays a role in our culture's mythical narrative. A piece of what brought us from there to here. 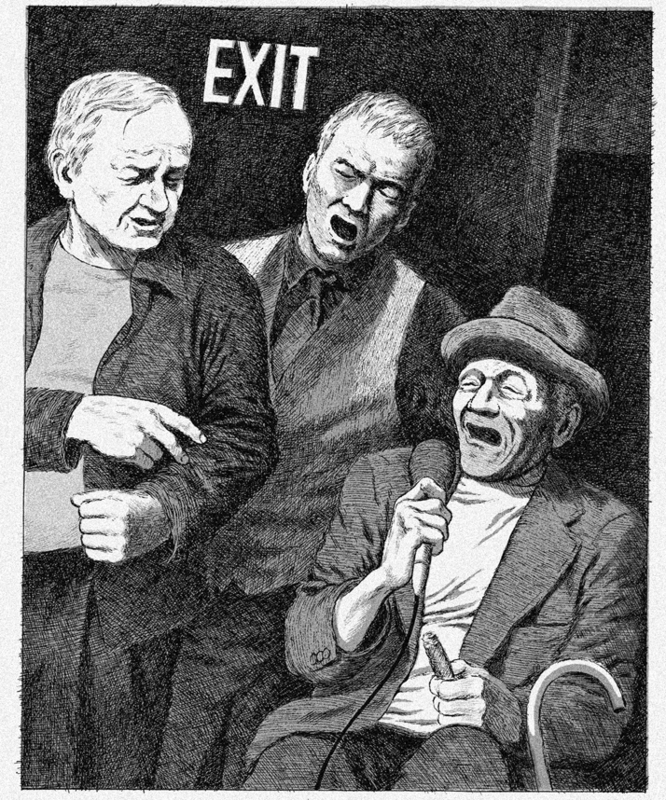 Of course, on the surface he's just a charming old-timer singing vaguely recognizable tunes that resonate with a faint tremble above the barroom din. But isn't that American history, too?